Recent release “A Gift of Life Thy Will Be Done” from Page Publishing author Leon Ernst Jr. is a prolific true-story that explores the ideas of personal identity and finding one’s self. Leon Ernst Jr., a Christian, devoted writer and author, has completed his new book “A Gift of Life Thy Will Be Done”: a passionately crafted work that portrays the beauty of life and self-worth. Published by New York City-based Page Publishing, Leon Ernst Jr.’s honest work proves to the reader there is sunshine after the storm. 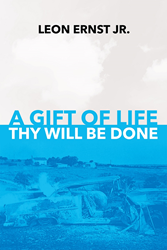 Readers who wish to experience this inspiring work can purchase “A Gift of Life Thy Will Be Done” at bookstores everywhere, or online at the Apple iTunes store, Amazon, Google Play or Barnes and Noble.